Rare Disease Day takes place on the last day of February each year (29th February itself being a rare day). Rare Disease Day is about raising awareness amongst the general public and decision-makers about rare diseases and their impact on patients’ lives. We know that it’s not that rare to have a rare disease, but that’s not how it feels when you and your family experience that odd illness that nobody knows much, if anything, about. We know how important it is to come together and share experiences, to learn from each other and to amplify each other’s voices. We know the importance of working together to make change happen. Today, NIRDP are holding events, hosted by the Mayor of Ards and North Down Council, and the Mayor of Derry City and Strabane Council. Many thanks to them for their help and hospitality. 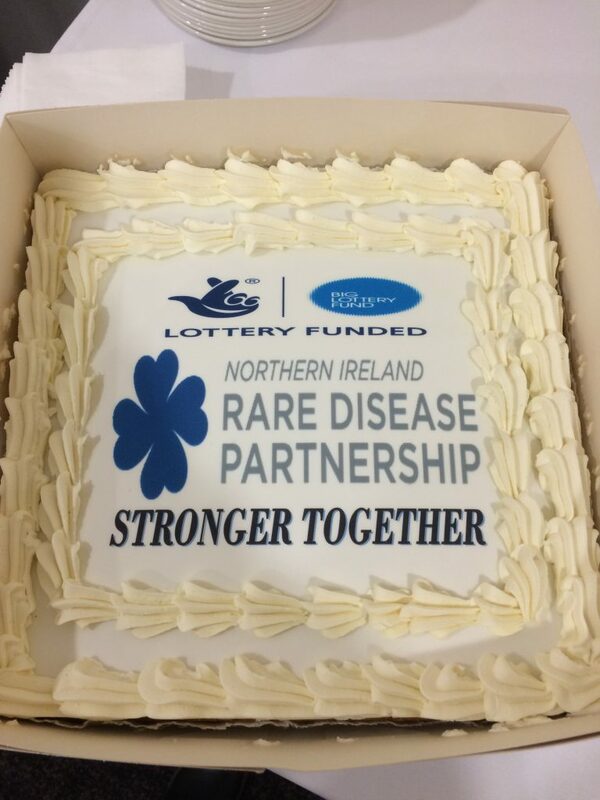 On Monday we host the 4th Joint North South Conference on Rare Disease at Riddel Hall, Belfast. We are all busy, and delighted to be so. We hope you can join us- at an event, on Facebook or Twitter. Take some time to acknowledge how awesome you are, and the progress we’re making together. And, if you can, grab a slice of cake to celebrate! !